As you all know I love receiving my Love Me Beauty boxes in the post each month and reviewing the contents for you guys. I think its a really great box and considering I don't ususally like subscription boxes, that's saying something. If you're new to my blog or don't know much about the brand, Love Me Beauty are a monthly subscription box priced at only £10 (or £9 with my discount code CG10) and each month they contain five products from various beauty and lifestyle brands. The thing that makes the company so unique is the fact that unlike conventional subscription boxes, there isn't any hidden catches or a minimum subscription. You can sign up for one month, 3 months, 9 months or 12 months and can cancel at any time. You can even 'skip' a month with no charge if nothing in that months box takes your fancy. How fab is that? I've never tried the brand 'Nail Girls' before but considering a 15ml bottle of the stuff costs £13.50, I've got high hopes that it'll be good stuff. That's more pricey than a bottle of OPI! 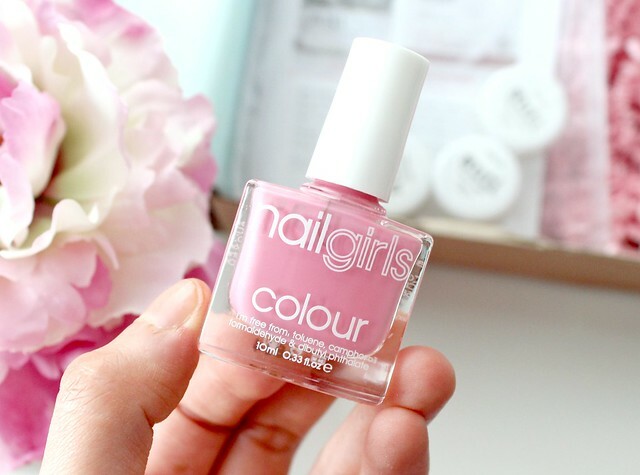 I'm not blown away by the baby pink shade as I sometimes feel too barbie like with my blonde hair and pink nails but it is lovely for Summer and one that would look great on toenails! This month my favourite item would definitely be this super cute set of three notebooks. I'm a bit of a stationary nerd and an obsessive list writer so these cute pocket notebooks will be living in my handbag for on the go blog ideas, to-do lists and my weekly food shop. I love the print on them too - they remind me of something I'd find in Paperchase for only a fraction of the price. 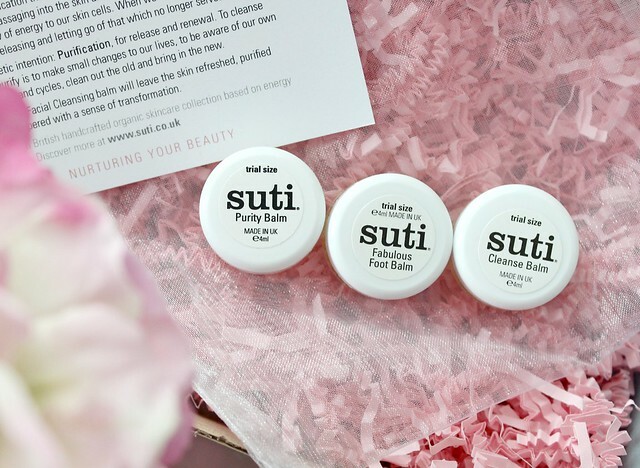 I've never heard of the brand Suti before but I love the sound of this little trial kit. It contains three products - a cleansing balm, purity balm and foot balm. Balms are my favourite method of cleansing so I'm looking forward to trying these products. I'm so excited to try these! 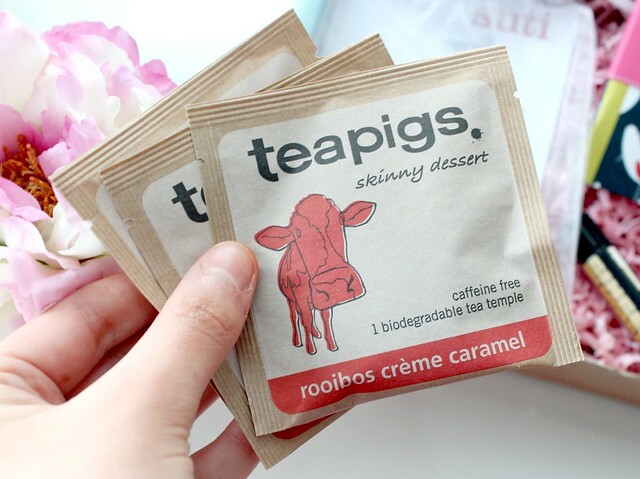 Some of you might think tea is a boring product to receive but I've heard amazing things about the brand Tea Pigs and I have to say I love nothing more than snuggling up on the sofa with a cuppa! Also, who could turn their nose up at Caramel flavoured tea? Yum! They're also decaf which is perfect for me as I try to avoid drinking too much caffeine. 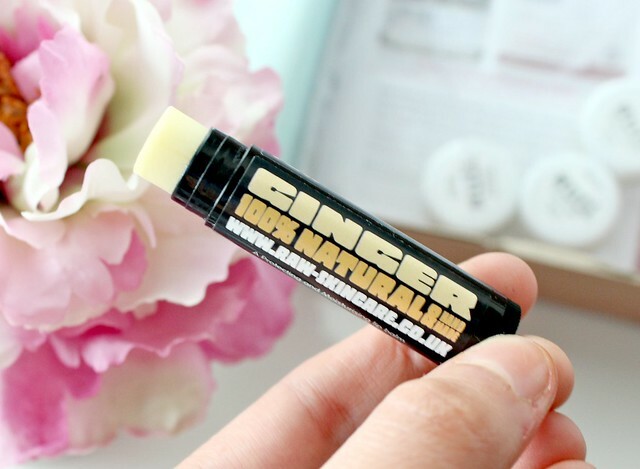 Another product I was excited to try this month is this Ginger flavoured lip balm from natural skincare company Raw. I've seen this brand mentioned a few times on blogs and they seem to have a good reputation for their lip balms. I've already tried it and its absolutely lovely - it smells nice and is very moisturising. A handbag essential! Once again a lovely little box from Love Me Beauty. For only £10, it really can't be faulted and I'll use every single product. Do you like the look of this months box? If so, make sure you snap one up with my 10% discount code 'CG10'. It expires at the end of this month so if you want to subscribe, now is the time to do it! The 10% off is very tempting thankyou!! I've been reading a lot about LMB today. Everyone seems to love it. Ginger products don't go we'll win my skin. Don't know why but I'd love to look into this more. Seems like a good box! 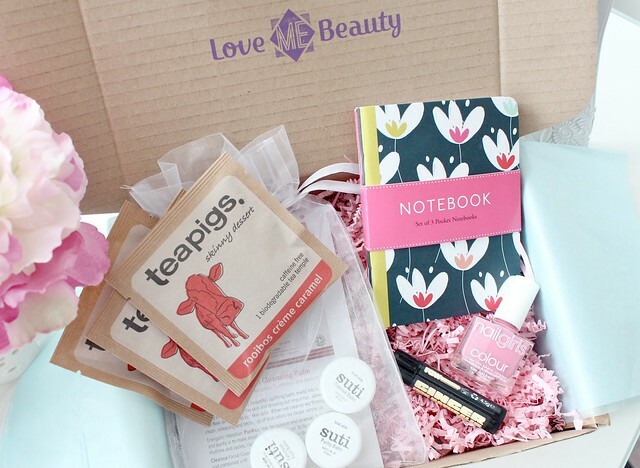 I think I am the only person not to of tried a beauty box, but the tea pigs may have tempted me! I have never tried this beauty box but I will have to give it a go the products look lovely! 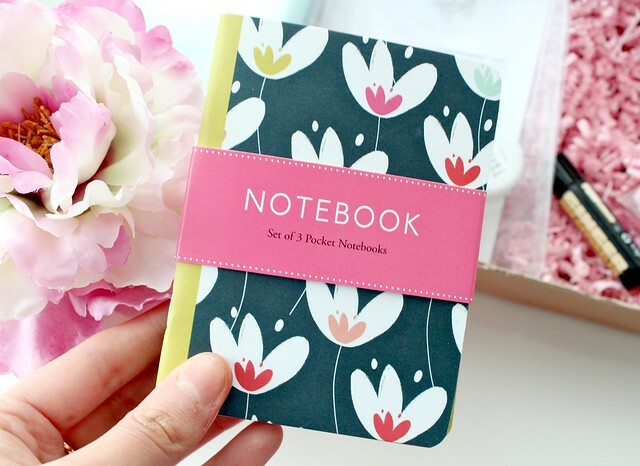 I especially like the notebook, I carry one everyone and it just makes it so nice when they look adorable! Tea pigs is so yummy! Have you ever tried the liquorice and peppermint one? It tastes amazing! This is cute. A little different from the usual Glossy Box and Birch Boxes. I'd probably get more use out of one like this! Looks amazing, your photos are so nice!